Background & objective The immunoregulatory effects of transforming growth factor (TGF)-βand interleukin-12 (IL-12) and immunomodulatory actions of vitamin D (VD) were reported in several studies. This study aims to evaluate VD effects on IL-12 and TGF-β expression in experimental autoimmune encephalomyelitis (EAE). Methods: EAE was induced in three groups of C57BL/6 mice by immunization with MOG and administered intra-peritoneally 200 ngVD, PBS or olive oil (OO) from day +3 to +30. One group was also considered as healthy control group. At day 31, cytokines expression in the spinal cord and their serum levels were determined using real time-PCR and ELISA, respectively. Results: IL-12 gene expression and its serum levels in PBS-injected- or OO-administrated EAE groups were significantly higher than healthy group. IL-12 gene expression in EAE group treated with VD was significantly decreased compared to PBS-injected- or OO-administrated EAE groups (P Conclusion: VD modulates the expression of IL-12 and TGF-β in spinal cord and serum of EAE mice. 1. Milo R, Miller A. Revised diagnostic criteria of multiple sclerosis. Autoimmun Rev. 2014;9972(14):012. 2. Robinson AP, Harp CT, Noronha A, Miller SD. The experimental autoimmune encephalomyelitis (EAE) model of MS: utility for understanding disease pathophysiology and treatment. Handb Clin Neurol. 2014;122:173-89. 3. Raphael I, Nalawade S, Eagar TN, Forsthuber TG. T cell subsets and their signature cytokines in autoimmune and inflammatory diseases. Cytokine. 2015;74(1):5-17. 4. Ghaffari SA, Nemati M, Hajghani H, Ebrahimi H, Sheikhi A, Jafarzadeh A. Circulating concentrations of interleukin (IL)-17 in patients with multiple sclerosis: Evaluation of the effects of gender, treatment, disease patterns and IL-23 receptor gene polymorphisms. Iran J Neurol. 2017;16(1):15-25. 5. Jafarzadeh A, Mahdavi R, Jamali M, Hajghani H, Nemati M, Ebrahimi HA. Increased Concentrations of Interleukin-33 in the Serum and Cerebrospinal Fluid of Patients with Multiple Sclerosis. Oman Med J. 2016 Jan;31(1):40-5. 6. 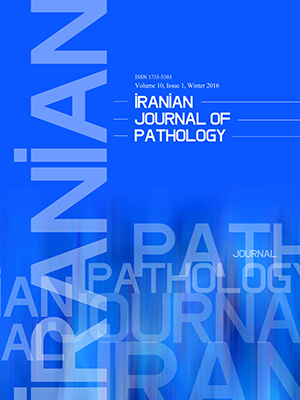 Jafarzadeh A, Ebrahimi HA, Bagherzadeh S, Zarkesh F, Iranmanesh F, Najafzadeh A, et al. Lower serum levels of Th2-related chemokine CCL22 in women patients with multiple sclerosis: a comparison between patients and healthy women. Inflammation. 2014;37(2):604-10. 7. Jafarzadeh A, Bagherzadeh S, Ebrahimi HA, Hajghani H, Bazrafshani MR, Khosravimashizi A, et al. Higher circulating levels of chemokine CCL20 in patients with multiple sclerosis: evaluation of the influences of chemokine gene polymorphism, gender, treatment and disease pattern. J Mol Neurosci. 2014;53(3):500-5. 8. Lasek W, Zagozdzon R, Jakobisiak M. Interleukin 12: still a promising candidate for tumor immunotherapy? Cancer Immunol Immunother. 2014;63(5):419-35. 9. Teng MW, Bowman EP, McElwee JJ, Smyth MJ, Casanova JL, Cooper AM, et al. IL-12 and IL-23 cytokines: from discovery to targeted therapies for immune-mediated inflammatory diseases. Nat Med. 2015;21(7):719-29. 10. Happel KI, Dubin PJ, Zheng M, Ghilardi N, Lockhart C, Quinton LJ, et al. Divergent roles of IL-23 and IL-12 in host defense against Klebsiella pneumoniae. J Exp Med. 2005;202(6):761-9. 11. Jana M, Pahan K. IL-12 p40 homodimer, but not IL-12 p70, induces the expression of IL-16 in microglia and macrophages. Mol Immunol. 2009;46(5):773-83. 12. Cooper AM, Khader SA. IL-12p40: an inherently agonistic cytokine. Trends Immunol. 2007;28(1):33-8. 13. de Paus RA, Geilenkirchen MA, van Riet S, van Dissel JT, van de Vosse E. Differential expression and function of human IL-12Rbeta2 polymorphic variants. Mol Immunol. 2013;56(4):380-9. 14. Croxford AL, Kulig P, Becher B. IL-12-and IL-23 in health and disease. Cytokine Growth Factor Rev. 2014;25(4):415-21. 15. Travis MA, Sheppard D. TGF-beta activation and function in immunity. Annu Rev Immunol. 2014;32:51-82. 16. Mantel PY, Schmidt-Weber CB. Transforming growth factor-beta: recent advances on its role in immune tolerance. Methods in molecular biology. 2011;677:303-38. 17. Mirshafiey A, Mohsenzadegan M. TGF-beta as a promising option in the treatment of multiple sclerosis. Neuropharmacol. 2009;56(6-7):929-36. 18. Mpandzou G, Ait Ben Haddou E, Regragui W, Benomar A, Yahyaoui M. Vitamin D deficiency and its role in neurological conditions: A review. Rev Neurol. 2016; 172(2):109-22. 19. Mohammadi-Kordkhayli M, Ahangar-Parvin R, Azizi SV, Nemati M, Shamsizadeh A, Khaksari M, et al. Vitamin D Modulates the Expression of IL-27 and IL-33 in the Central Nervous System in Experimental Autoimmune Encephalomyelitis (EAE). Ir J Immunol. 2015;12(1):35-49. 20. Jafarzadeh A, Mohammadi-Kordkhayli M, Ahangar-Parvin R, Azizi V, Khoramdel-Azad H, Shamsizadeh A, et al. Ginger extracts influence the expression of IL-27 and IL-33 in the central nervous system in experimental autoimmune encephalomyelitis and ameliorates the clinical symptoms of disease. J Neuroimmunol. 2014;276(1-2):80-8. 21. Takeuchi C, Yamagata K, Takemiya T. Variation in experimental autoimmune encephalomyelitis scores in a mouse model of multiple sclerosis. World J Neurol. 2013;3(3):56-61. 22. Cantorna MT, Woodward WD, Hayes CE, DeLuca HF. 1,25-dihydroxyvitamin D3 is a positive regulator for the two anti-encephalitogenic cytokines TGF-beta 1 and IL-4. J Immunol. 1998;160(11):5314-9. 23. Ascherio A, Munger KL, Simon KC. Vitamin D and multiple sclerosis. Lancet Neurol. 2010;9(6):599-612. 24. Fitzgerald KC, Munger KL, Kochert K, Arnason BG, Comi G, Cook S, et al. Association of Vitamin D Levels With Multiple Sclerosis Activity and Progression in Patients Receiving Interferon Beta-1b. JAMA Neurol. 2015;72(12):1458-65. 25. Sundstrom P, Salzer J. Vitamin D and multiple sclerosis-from epidemiology to prevention. Acta Neurol Scand. 2015;132(199):56-61. 26. Rolf L, Muris AH, Hupperts R, Damoiseaux J. Illuminating vitamin D effects on B cells - the multiple sclerosis perspective. Immunol. 2016;147(3):275-84. 27. Dungan LS, McGuinness NC, Boon L, Lynch MA, Mills KH. Innate IFN-gamma promotes development of experimental autoimmune encephalomyelitis: A role for NK cells and M1 macrophages. Eur J Immunol. 2014;2014(23):201444612. 28. Xiao BG, Ma CG, Xu LY, Link H, Lu CZ. IL-12/IFN-gamma/NO axis plays critical role in development of Th1-mediated experimental autoimmune encephalomyelitis. Mol Immunol. 2008;45(4):1191-6. 29. Niino M, Fukazawa T, Miyazaki Y, Takahashi E, Minami N, Amino I, et al. Suppression of IL-10 production by calcitriol in patients with multiple sclerosis. J Neuroimmunol. 2014;270(1-2):86-94. 30. Verma R, Kim JY. 1,25-Dihydroxyvitamin D3 Facilitates M2 Polarization and Upregulates TLR10 Expression on Human Microglial Cells. Neuroimmunomodulation. 2016; 23(2):75-80. 31. Waddell A, Zhao J, Cantorna MT. NKT cells can help mediate the protective effects of 1,25-dihydroxyvitamin D3 in experimental autoimmune encephalomyelitis in mice. Int Immunol. 2015;27(5):237-44. 32. Hewison M. Vitamin D and the immune system: new perspectives on an old theme. Rheum Dis Clin North Am. 2012;38(1):125-39. 33. Jafarzadeh A, Jamali M, Mahdavi R, Ebrahimi HA, Hajghani H, Khosravimashizi A, et al. Circulating Levels of Interleukin-35 in Patients with Multiple Sclerosis: Evaluation of the Influences of FOXP3 Gene Polymorphism and Treatment Program. J Mol Neurosci. 2014;2014:19. 34. Lu P, Wang M, Zheng P, Hou J, Zhang Y, Deng Y, et al. Th17/Treg unbalance is involved in the pathogenesis of experimental autoimmune encephalomyelitis. Chin J Cell Mol Immunol. 2014;30(10):1013-7. 35. Shirvani-Farsani Z, Behmanesh M, Mohammadi SM, Naser Moghadasi A. Vitamin D levels in multiple sclerosis patients: Association with TGF-beta2, TGF-betaRI, and TGF-betaRII expression. Life Sci. 2015;134:63-7. 36. Aivo J, Hanninen A, Ilonen J, Soilu-Hanninen M. Vitamin D3 administration to MS patients leads to increased serum levels of latency activated peptide (LAP) of TGF-beta. J Neuroimmunol. 2015;280:12-5. 37. Zhang C, Zhang X, Chen XH. Inhibition of the interleukin-6 signaling pathway: a strategy to induce immune tolerance. Clin Rev Allergy Immunol. 2014;47(2):163-73. 38. Etesam Z, Nemati M, Ebrahimizadeh MA, Ebrahimi HA, Hajghani H, Khalili T, Frootan R, Zinoddini N, Jafarzadeh A. Altered Expression of Specific Transcription Factors of Th17 (RORgammat, RORalpha) and Treg Lymphocytes (FOXP3) by Peripheral Blood Mononuclear Cells from Patients with Multiple Sclerosis. J Mol Neurosci. 2016; 60(1):94-101. 39. Murphy AC, Lalor SJ, Lynch MA, Mills KH. Infiltration of Th1 and Th17 cells and activation of microglia in the CNS during the course of experimental autoimmune encephalomyelitis. Brain Behav Immun. 2010;24(4):641-51. 40. Ivanova EA, Orekhov AN. T Helper Lymphocyte Subsets and Plasticity in Autoimmunity and Cancer: An Overview. BioMed Res Int. 2015;2015:327470. 41. Xu QA, Li ZF, Zhang P, Cao LH, Fan MW. Effects of 1,25-dihydroxyvitamin D on Macrophage Cytokine Secretion Stimulated by Porphyromonas gingivalis. Jpn J Infect Dis. 2016. 42. Huang YN, Ho YJ, Lai CC, Chiu CT, Wang JY. 1,25-Dihydroxyvitamin D3 attenuates endotoxin-induced production of inflammatory mediators by inhibiting MAPK activation in primary cortical neuron-glia cultures. J Neuroinflammation. 2015;12:147. 43. Barrat FJ, Cua DJ, Boonstra A, Richards DF, Crain C, Savelkoul HF, et al. In vitro generation of interleukin 10–producing regulatory CD4+ T cells is induced by immunosuppressive drugs and inhibited by T helper type 1 (Th1)–and Th2-inducing cytokines. The Journal of experimental medicine. 2002;195(5):603-16. 44. Takashima T, Sakata Y, Iwakiri R, Shiraishi R, Oda Y, Inoue N, et al. Feeding with olive oil attenuates inflammation in dextran sulfate sodium-induced colitis in rat. J Nutr Biochem. 2014;25(2):186-92. 45. Rodriguez-Morato J, Xicota L, Fito M, Farre M, Dierssen M, de la Torre R. Potential role of olive oil phenolic compounds in the prevention of neurodegenerative diseases. Molecules. 2015;20(3):4655-80.